Microneedling is a popular procedure to treat fine lines and wrinkles of the face. Dr. Douglas and Dr. Gallus talk about how micro needling can help you refresh your look. 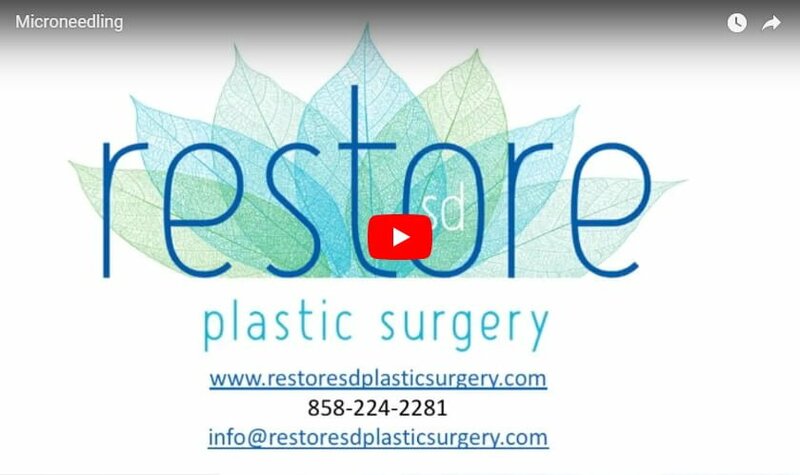 Hi, I’m Dr. Trent Douglas with Restore SD Plastic Surgery, and I’m joined today by my partner… Dr. Katerina Gallus. To talk to you about microneedling. Microneedling is an in-office procedure and is effective for treating fine lines and wrinkles of the face and neck. The tiny needles create small injuries in the skin. The body then repairs the injuries by creating new collagen, thus tightening the skin and leaving you looking younger. After microneedling treatment, you will look pink for a day or two and your skin might feel a little dry and flaky. Best results are seen in a series of treatments spaced four to six weeks apart. To optimize your results after microneedling, it’s best to be committed to a medical grade skincare regimen. We look forward to seeing you for your microneedling needs at Restore SD Plastic Surgery.